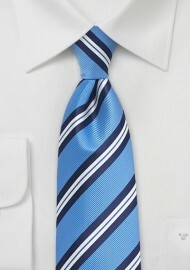 This modern striped tie was made in a shorter length and narrowed down width to fit boys ages 5 to 10 years old. 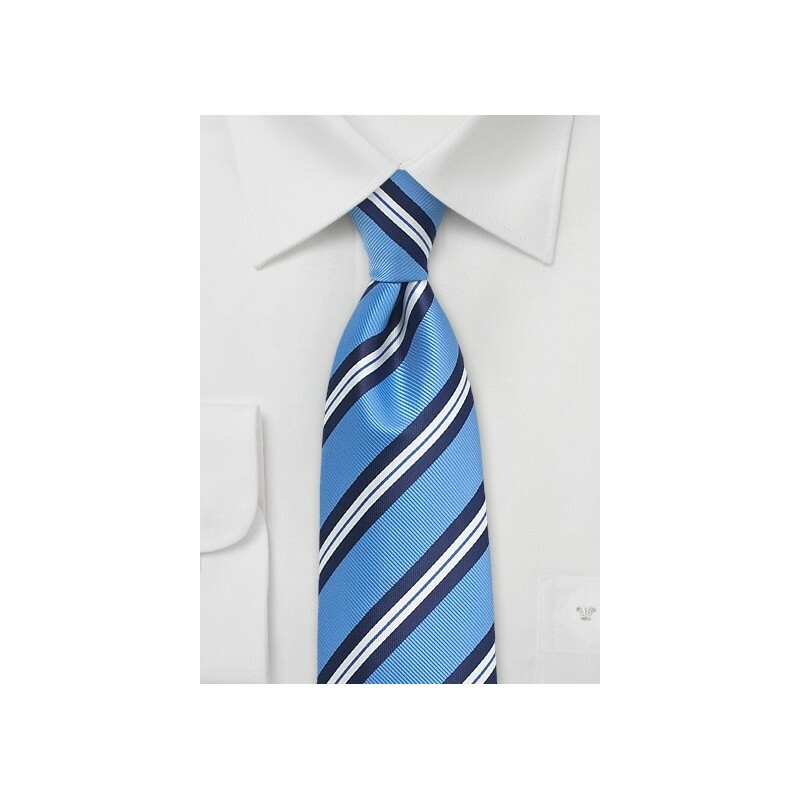 It was already one of our best selling summer neckties for adults, and we are excited to now also carry this tie in kids size as well as XL length. Made from repp textured woven microfiber fabric.